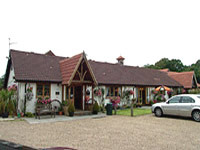 Gatwick hotel in Gatwick - Gatwick hotel LITTLE FOXES HOTEL near London - Gatwick Airport in the UK. 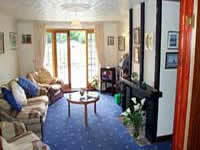 Ideally situated for holidaymakers, foreign visitors or business people travelling through GATWICK AIRPORT. 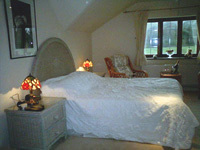 All rooms en suite and room price includes breakfast and vat. Choice of standard and superior accommodation. Holiday parking for overnight guests. Family run relaxing rural hotel offering a warm welcome. Licensed in house restaurant. Honeysuckle with two person Jacuzzi £79. Surrounded by woodland on three sides, with attractive garden and pond. There is plenty of seating areas on the patios to relax and enjoy a glass of wine after a pleasant hotel meal in the warmer weather. The luxury rooms have their own sun lounge and patio and many of our rooms overlook the pastureland and woods where the wild deer often can be seen. Conventiently places for reaching LONDON by train, after the hectic day in London return to the harmony of the countryside. BRIGHTON, ARUNDEL, and many pretty famous gardens and houses are easily reached by car. Ifield Golf Club is quite close too.